8 is believed to be a lucky number and I believe so! Bloggers United has never been this HUGE! For our 8th installment, get to shop the closets of celebrities like Kelly Misa, Jacob Benedicto of PBB, Kiana Valenciano, Gabs and Alyssa Gibbs, Divine Lee and many more! 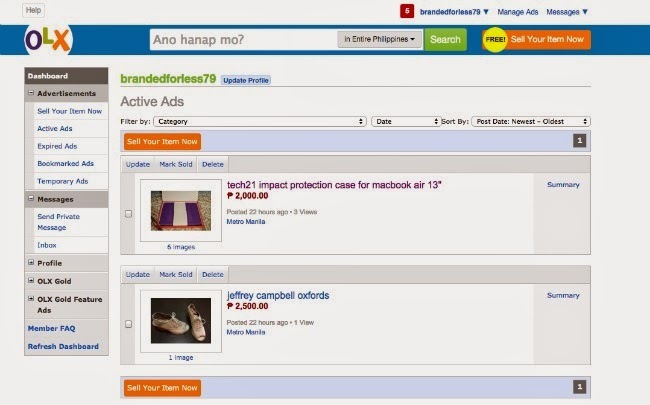 Also, because we're partnering with OLX.ph this year, we've all decided to "level up" and sell more than just clothes! I'll also be selling almost new gadgets, speakers and iPhone/MacBook accessories! And here's more reason for you to shop! 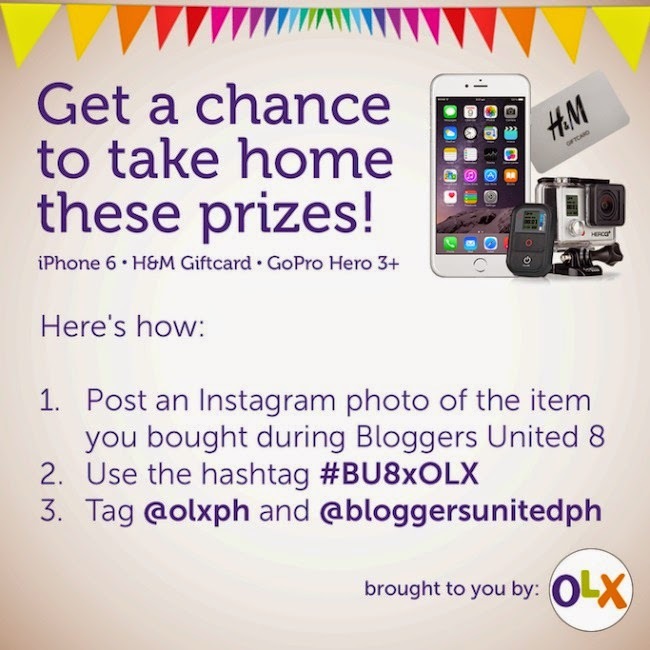 Take a photo of what you bought (hopefully include something from me :P) during the event and upload to Instagram with the hashtag #BU8xOLX for a chance to win an iPHONE6, a GOPro HERO 3+ and H&M gift cards!!! 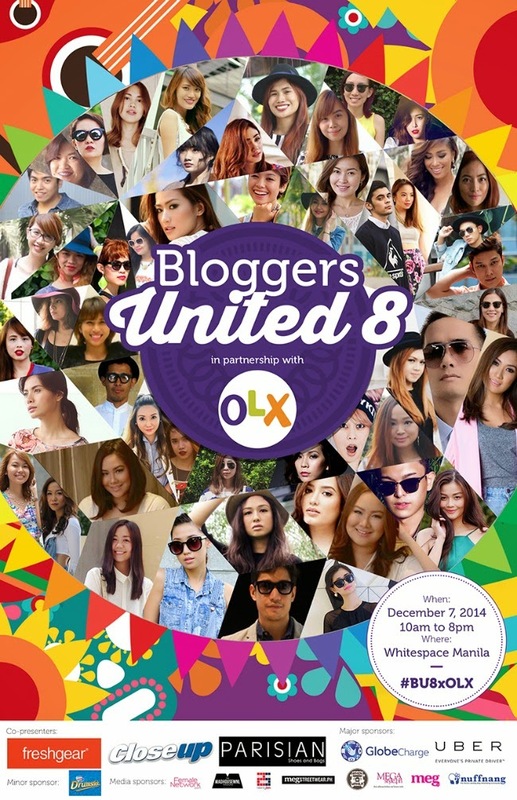 Don't forget to tag @olxph @bloggersunitedph! 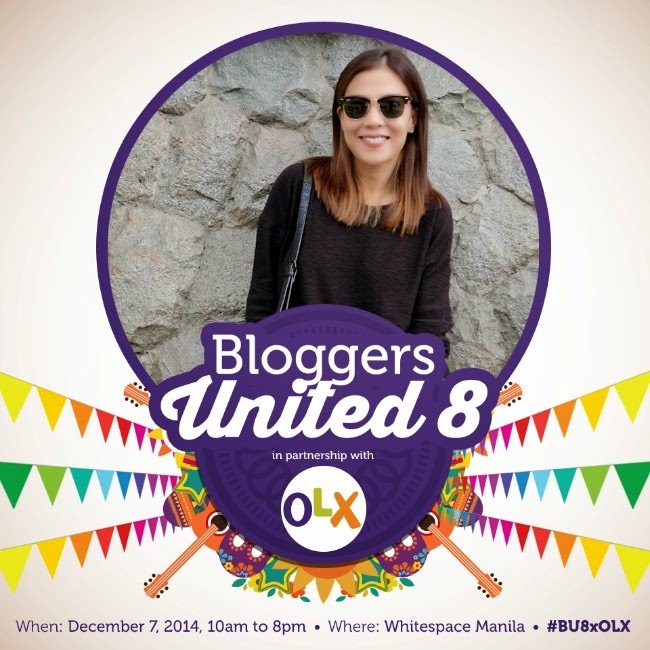 To make things even easier for you, I'm giving away 10 pairs of tickets to #BU8xOLX so you can save your money solely for shopping! Will choose 10 winners via Random.org so you can share this special event with your BFF's just like us! Can't wait to see you all again!!! Wow! It's great that you were invited to this event! i really want to win the free passes and see my favorite bloggers.